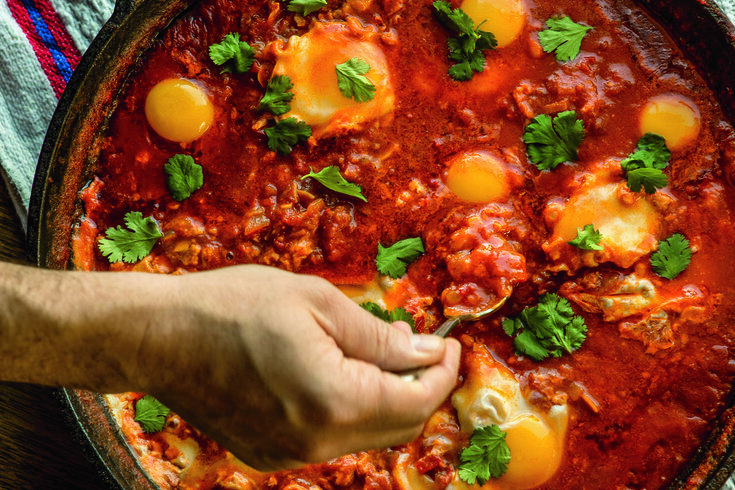 Photograph from "Zahav: A World of Israeli Cooking," by Michael Solomonov and Steven Cook. Photography copyright ©2015 by Michael Persico. Used by permission of Houghton Mifflin Harcourt. All rights reserved. Two Philadelphia restaurants maintained their position on a recent ranking of the top places to eat in America while a third secured a spot on the list for the first time. On Wednesday, OpenTable unveiled its list of the "100 Best Restaurants in America," recognizing Bibou, Vetri and Zahav among the nation's top restaurants. Bibou was new to the list this year. The online reservation site and app company compiled the list from 10 million user reviews left by verified diners between Nov. 1, 2015, and Oct. 31, 2016. The 100 restaurants were determined by overall score and listed alphabetically. • Bibou, located at 1009 South 8th Street in the city's Bella Vista section, specializes in french cuisine. • Vetri, located at 1312 Spruce Street in Center City, serves authentic Northern Italian food. • Zahav, located at 237 Saint James Place in Society Hill, opened recently in 2008 and cooks up Israeli-Mediterranean dishes. All of the restaurants that were recognized by OpenTable will receive a commemorative pan.